You can use Microsoft Query to retrieve data from external sources. 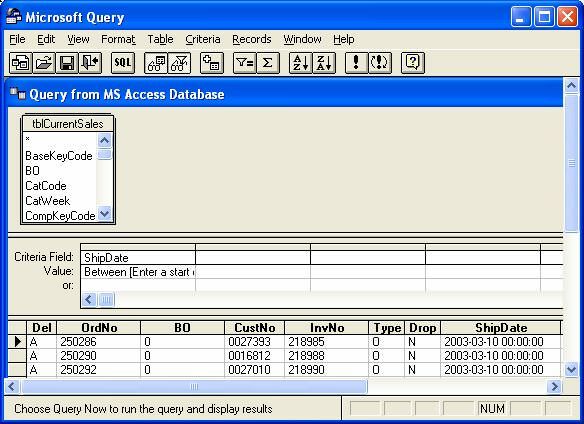 By using Microsoft Query to retrieve data from your corporate databases (database: A collection of data related to a particular subject or purpose. Within a database, information about a particular entity, such as an employee or order, is categorized into tables, records, and fields.) and files, you don't have to retype the data that you want to analyze in Excel. You can also refresh your Excel reports and summaries automatically from the original source database whenever the database is updated with new information. If you need more information please contact the developers of Microsoft Query (Microsoft Corporation), or check out their product website.